DataSpace are pleased to provide various solutions to support your business and to enable you to concentrate on your key business areas. Whether you require DataSpace’s Secure Archive Storage Facilities, to free your work environment of clutter, allowing you to utilise your office space to its full potential or you might require our Secure Scanning and Confidential Destruction services. This in turn would free your employees valuable time from being spent on the shredding or scanning documents, allowing them focus on their key responsibilities. DataSpace are here to help with our tailor made solutions for your business needs! When working with or keeping personal data you must comply with regulations set out within the Data Protection Act 1998. 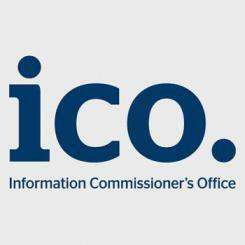 Failure to meet these requirements could result in a fine from the Information Commissioners Office (ICO) who regulates businesses to ensure the general publics data isn’t being misused or abused. The ICO can issue fines as large as £500,000 to organisations for their failure to comply with the Data Protection Act 1998. So with this in mind be sure to invest in the safety of your documents today to avoid fines in the future. With DataSpace you will be confident that you’re meeting your Data Protection responsibilities in an efficient and cost effective way. DataSpace encourages clients to mark their files and archive boxes with ‘Destruction Dates’ making it easy for you to review and determine whether they are required to be retained for a further length of time or securely destroyed. If you choose to take advantage of our efficient Confidential Destruction Service, once the work has been completed we will provide you with a ‘Certificate of Destruction’ as evidence that the process has been completed and carried out to a compliant standard. Alternatively if you require documents to be scanned DataSpace can securely host your scanned images on our online web portal FileLive. FileLive is accredited to BS:27001 standards and allows you to trace every movement of your items for complete auditability. DataSpace are also registered with the Information Commissioner Office (ICO), Human Tissue Authority (HTA), NHS Information Governance Toolkit and are accredited with BS5454 which is the British Standards for the provision of Professional Document Archiving and Record Management Services. All of DataSpace staff are CRB checked and all of our vehicles are fitted with GPS which is monitored at all time by our operations team.